Rapper T.I. 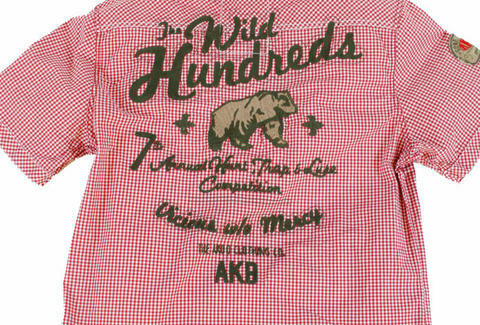 's AKOO line offers up a tease of its Spring/Summer collection, dropping the Strong Snobby tee (featuring a bulked-up version of its snobby fox logo), two short-sleeve wovens (red checked; gray with black stitching) styled with hunting-related imagery, two pairs of jeans, and a polo echoing the wovens' design, all proving T.I. has far more to offer the public than just 12 months of cleaning freeway trash and a really solid guest appearance on The O.C.